Donald Trump is reduced to hurling insults at Scotland in the wake of the loss of millions of dollars from previous clashes with the country. If there is one thing one can count on regarding Donald Trump, it’s the fact that you can’t count on anything. He doesn’t seem to operate by the same rules as the rest of the planet earth, and when it comes to bigotry, hatefulness and ignorance – well…… the sky seems to be the limit. Twitter exploded in the wake of Trump’s asinine comments to the media along with an equally ignorant tweet. Yet, one thing the media seems to have overlooked is the fact that Trump’s problems with Scotland didn’t begin last week. Indeed, it was merely the third clash in recent months. The first blow came with last Sunday’s announcement that Trump’s Turnberry Golf Resort had been pulled for consideration for the 2020 British Open Tournament. 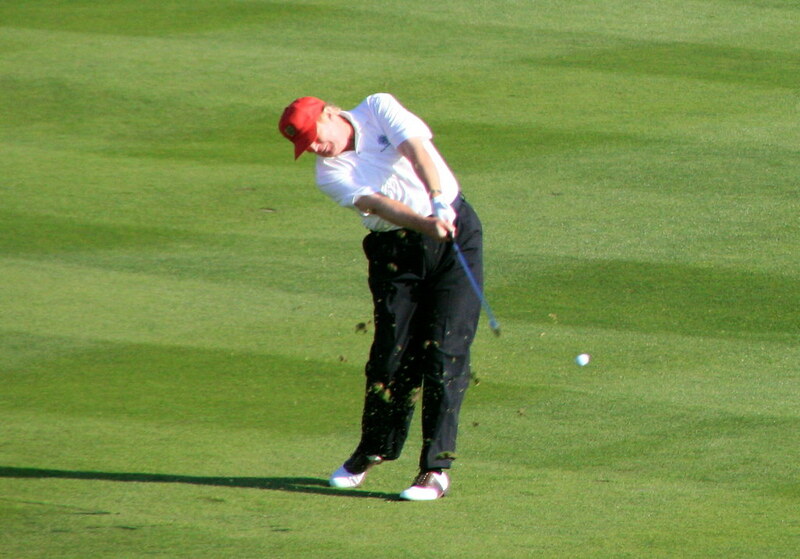 It seems the Royal and Ancient Golf Club of St Andrews had been expected to endorse Trump’s golf resort to host the 2020 British Open, but after Trump’s recent slew of racist remarks about the Chinese, Mexicans, Muslims, and women – increasing concerns regarding the risk of boycotts by tournament sponsors and players were too much for the prestigious governing body. Then there’s the financial blow to Trump’s empire of ego. Trump purchased the Turnberry resort last April for “just over $63 million,” renaming it Trump Turnberry. Promising an upgrade of slightly more than $300 million, “the purchase appeared to give the billionaire the near-guarantee that when The Open came to his place, he would be center-stage at the winner’s presentation party on the 18th green,”along with other dignitaries in a ceremony shown to millions around the world, according to a report by The Independent on Sunday. The second blow occurred this Wednesday when Britain’s Supreme Court ruled unanimously against Trump’s efforts to block the construction of a wind farm in Scotland. As Think Progress reports, Trump has been “fighting to prevent the construction of a wind farm off the coast of Aberdeen, Scotland, since 2013.” Trump “maintained that the wind farm, if constructed, would ruin the view of a luxury golf course he owns near the planned site of the farm. The Scottish government approved plans for the wind farm in 2013, and since then, Trump’s challenge had lost twice in Scottish courts,” and Wednesday’s ruling likely puts an end to the billionaire’s efforts to halt construction of the project. Trump, as well as being a staunch defender of his golf courses’ views, is also a longtime-denier of climate change. He’s called climate change a “hoax” and regularly uses snow and cold weather to cast doubt on the fact that the planet is warming. Ironically, however, financial disclosures show that Trump has invested in Nextera, an electricity supplier that calls itself one of the world’s largest generators of wind power.